Regardless of where you are in your career, you’ll be more successful if you master the three fundamental LinkedIn skills: Creating a compelling profile, building relevant connections, and engaging your network with valuable content. How you use those skills will vary over the course of your career. Here’s a roadmap. As a recent college grad, you’re looking to break into the workforce. At this stage in your career, you’re coming to LinkedIn for help finding a job. Just as you comb your hair and iron your shirt for a big job interview, make sure you come to LinkedIn looking your best. Upload a professional photo. The headline on your LinkedIn profile follows you around the social ecosystem, so write a concise headline that summarizes where you’re taking your career (e.g., “Aspiring Marketer”, “Future CFO”). Complete all the profile fields, including your Alma matter, community activities, and other interests. Never walk into a job interview without doing your homework on the people you’ll meet. Ask in advance for the names of the people who will interview you, and find them on LinkedIn. They’re doing the same to you. Look for common interests and contacts, and come prepared with a conversation-starter. If the interview goes well, say thank you on LinkedIn and ask for a connection. In your 30’s you’ll invest in relationships that will pay dividends for the rest of your professional career. Even when you’re not looking for a new job, LinkedIn helps you develop your network and establish your credentials. Build your network. Connect on LinkedIn with colleagues, both inside and outside your company. Don’t get hung up on the size of your network; what matters is that you connect to people you know and respect. Inviting your office buddies may seem pointless now, but eventually your careers will take you in different directions. Connecting today ensures an enduring relationship tomorrow. Keep your profile crisp. Review it monthly to make sure it still represents you in the best possible light. As you take on new roles and projects, update LinkedIn accordingly. Refresh your photo annually so you don’t stay 21 forever. When you get a promotion, update your title on LinkedIn before heading out to celebrate. Check your newsfeed. LinkedIn’s newsfeed is a great way to stay up-to-date on what’s happening in your industry. Articles shared by your connections are more targeted and relevant than what you’ll find in the newspapers. Reading them will give you the “inside scoop” and will impress your managers. Applaud your network. LinkedIn sends you regular emails listing promotions, new jobs, and work anniversaries in your network. Congratulating your connections on their accomplishments builds goodwill that will help you in all sorts of unplanned ways. In your 40’s, you’ve built your reputation and built a valuable network. Now you can put those assets to work for your teams and your companies. Publish your ideas. LinkedIn’s new publishing platform (still in rollout) allows you to blog your insights just like a LinkedIn influencer. Take advantage of the opportunity to share your ideas, learnings, insights, questions with a broader audience. Broker introductions. Check your network for contacts at companies that you or your colleagues are trying to sell into. You may be surprised at how deep your networks are, and how high your connections have risen in their organizations. 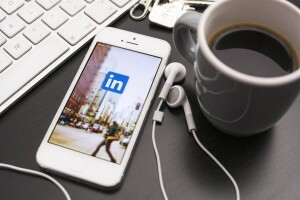 Use those connections to make warm introductions, and consider investing in LinkedIn Sales Navigator (premium subscription) to make you even more effective. Recommend good people. Increasingly you’ll be asked to write professional recommendations to help others along in their careers. If they’re good, take 15 minutes and write something thoughtful. Recruit like the pros. Now that you’re sitting on the hiring side of the interview table, LinkedIn is a great way to source candidates. Post jobs and use advanced search to proactively find candidates. If your company hires a lot, recruiter licenses are worth the investment. Wherever you are in your career, it’s not too late to start on LinkedIn. Jump on, sign in, and see where it takes you. Nathan Egan founded PeopleLinx in 2009 and is responsible for overseeing the company’s overall strategic direction, planning and execution. Prior to PeopleLinx, Nathan was an early employee at LinkedIn where he helped create and execute the sales process for their corporate solutions. Nathan has also held sales leadership positions with Autonomy and ECOLAB, where he was promoted to increasingly challenging positions as a result of exceeding sales quotas and other performance metrics.